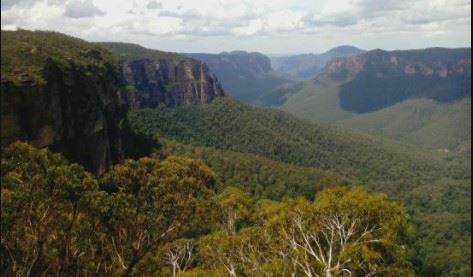 Enjoy a fabulous 200Km Drive including coffee stop before arriving at the Hydro Majestic Hotel in the Blue Mountains. Lunch Drive to the Hydro Majestic, Medlow Bath Blue Mountains. Note: Lunch Bookings Closed. Drive Only remain open to the 9th June. Gather at 9.00am for 9.30am Departure. Come and enjoy a pleasant 200Km Drive offering everything, fantastic Porsche driving experience on Bells Line of Road, stunning coffee stop along the way before ultimately arriving at the famous Hydro Majestic via Lithgow. We have arranged reserved car parking to ensure your beloved Porsche’s are safe whilst you indulge in a memorable 2 coarse dining experience in the Winter Room. The Hydro Majestic has been fully renovated, worth exploring during our visit as well as offering overnight accommodation. Members may wish to extend their stay by taking advantage of the accommodation to spend more time in this luxurious environment.